"Want to wear or use it make it faux." It's easy and it's hard, companies change their policies, quicker than a knicker change. We become loyal and in love with certain brands, love that they are saying 'NO' to the animal testing and going the route of proven scientific and might I add painless and cheaper alternatives. A lot of us were dumbfounded and shocked when certain major cosmetic houses, dropped their policies this year and left us staring at our stash, questioning what now? Did you know : Some companies display the cruelty free or not tested on animals tag line but their claims often only refer to the finished product. Animal testing is to do with each ingredient included not just the overall product. Some companies who also say 'We do not test on animals' referring to themselves as a company, often times get other companies to do the testing for them. It can be very misleading. There are LOADS of brands that don't test unfortunately, we can't all stand in a shop, holding an app that tells us who does and doesn't test on animals. We do have to research and make ourselves familiar with the brands and understand the logos. Companies must submit their entire product process chain for independent audit (An assessment of a Company’s Supplier Monitoring System.) in terms of the ingredients and finished product not being tested on animals. Their commitments are renewed on an annual basis. So the leaping bunny keeps on top of these companies policies. 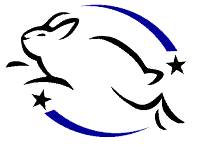 The leaping bunny company logo is not just a list but it's also a standard, a standard of which guarantees a product FREE OF NEW ANIMAL TESTING. Many of the ingredients may have been animal tested in the past but the standard is to prevent future animal testing and cancel it out all together. The leaping bunny logo is also internationally recognised in such countries as United States, Canada, United Kingdom and most of the EU. So what if a company that tested on animals no longer wants to and decided to apply for the Leaping Bunny approval? They ask for a 'Fixed-Cut off Date' which means that after a date, a company, it's third party manufacturers and / or suppliers that have been involved within the animal testing for the product must not have conducted or commissioned animal testing for the company's own-label products and or ingredients supplied for use within that company's cosmetics and/or household products. This fixed cut off date must be fixed and applied throughout the company's entire cosmetics and or household range but the negative aspect to the fixed cut off date even though it looks at the ingredients individually, it doesn't look at the company's wider practices. If you buy an ingredient under this rule it must NOT be animal tested but the RAW MATERIALS SUPPLIER you buy it from can still test their other raw materials on animals. Only because the one ingredient you are buying isn't tested on animals, doesn't mean the others the raw materials supplier offers isn't. Some companies use the 'Rolling Rule' which the leaping bunny doesn't accept. "Raw Materials can be bought from any company that can sign a declaration saying they have not tested that material within the last 5 years for use in cosmetics." The negative aspect for the rolling rule is that now it can be used as a smoke screen for companies and make them look good. How so? Cosmetic products and new raw materials now take at least 5 years to develop, this means companies can continue to test on animals knowing that by the time they are ready to market this new product 5 years would of passed and they could advertise this product as 'cruelty free' under the the 5 year rolling rule e.g. if a company says they won't use an ingredient that is animal tested in 2012, they won't use that product from 2012 - 2016 but in 2017 the company will then use that ingredient within their product and still claim, it's cruelty free. It's not helping to stop animal cruelty. Yet both these companies buy and use 'new to the world' ingredients. Just like I explained in the 5 year rolling rule. In a nutshell: The leaping bunny logo means no ingredients or finished product have been tested on animals by that company or their raw materials supplier (it does not mean that the raw materials supplier complies with no animal testing with other products) with a fixed date in place. Companies are to undergo an independent audit with Leaping Bunny. 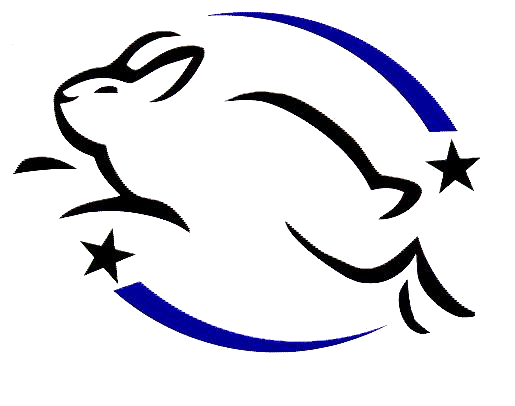 I'm sure we've all seen this logo, the cruelty free bunny is for companies that have signed documents with PETA. 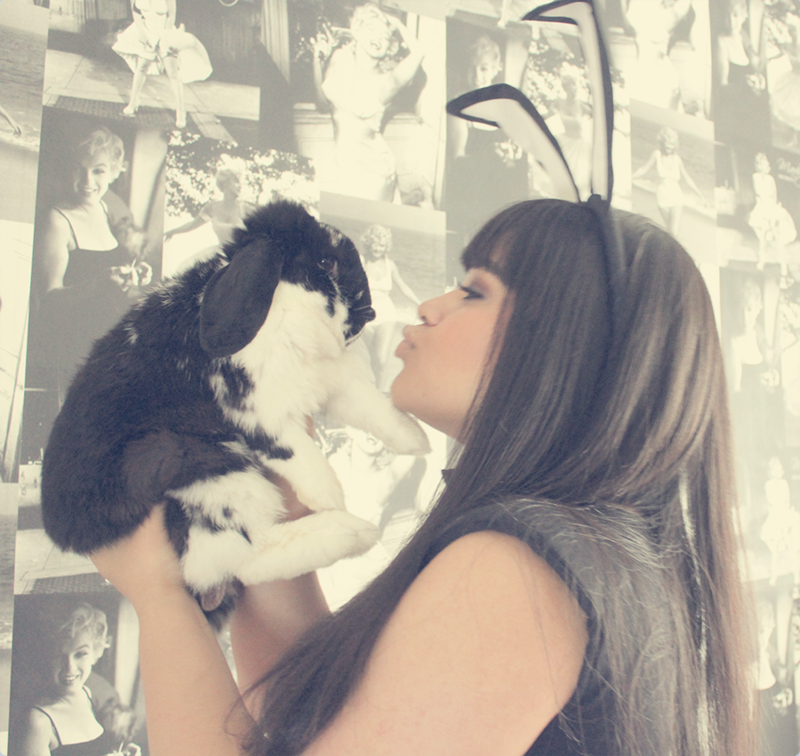 Cruelty free bunny asks for many of the same things as the Leaping Bunny does. No ingredients or finished product must be tested on animals. Companies or ingredients suppliers cannot contact labs to conduct animal testing. The big difference is PETA is their statement of assurance is based on a matter of trust, they don't ask for any independent audit, a company can sign up by completely a short questionnaire and sign a statement of assurance verifying that they and their ingredients suppliers do not conduct or commission any animal tests on ingredients, formulations or finished products and pledge to do so in the future. Once completed PETA will add these qualifying companies to their list. Companies will then have the opportunity to licence PETA's own cruelty free bunny logo. There are two versions, cruelty free and for companies who sell an entirely vegan product line the 'Cruelty-Free and Vegan' logo is available. I cannot find whether or not PETA have a FCOD but honestly I find this logo and agreement are flimsy. To me, there might be too little research and just going off an agreement like that isn't solid enough for me. In a nutshell : PETA have very similar regulations as The Leaping Bunny but are not as strict and are based more on a matter of trust between the companies and PETA. I have noticed with some companies, they don't always put the logo on their products sometimes due to rebranding, they often wait until then or they choose not to display it at all or they too might have an itty bitty disclaimer WITH THEIR CHOSEN TEXT VARIATION but warning please bring your magnifying glass for those AND UNDERSTAND WHAT THAT TEXT MAY MEAN. I find it so weird when companies do that! Research, research, research. Being animal cruelty free isn't easy and I understand that, we are continuously tricked by these smoke and mirror claims, we want to believe when we are reading something in a shop, it is what it claims. Yet there is more to it all than it seems. Animal testing can also get confusing. We all known Estee Lauder owns companies we love and EL test on animals but through research what I've lead to understand that just because these parent companies test, doesn't mean their offspring does. Big example : Loreal - tests on animals. It's a parent company to The Body Shop who are very high on their laurels on being cruelty free but the big question is, do their profits go back into their parent companies who do a lot of animal testing? AVON purchased Liz Earle in 2010, AVON test on animals but Liz Earle has stated, it still views itself as an independent company and will remain loyal to their philosophy, principles and products. Liz Earle have stated their profit is reinvested in our people, products and services. Some brands are animal cruelty free but do not carry the logo such as LUSH & Dr. Hauschka, this can be for numerous reason, they may not want to pay for the licensing fee to use the logo or in LUSH's case they are left off the 'cruelty free' lists because organisations don't understand or their policy, don't have a convenient pigeon hole or because they only list companies licensed under their own scheme. Dr. Hauschka says there are so many companies they do not want to be affiliated with just one. Most brands today one their F.A.Q sections will normally tell you if they test on animals or not and if you are concerned and have a Twitter, Facebook or email account, get in contact with them. I know sometimes when your shopping you tend to think, more expensive means the better product and in some cases possibly but if your want to comply. A lot of own brand stores comply with the FCOD such as Aldi, Argos, Co-Op, Marks and Spencer, Next, Nisa, Sainsbury's, Somerfield, Superdrug, Tesco and Waitrose. My last section is on the logos and claims is the text variations! "No Animal Testing" - This might mean they are using the 5 year rolling rule as explained above. It also could mean the ingredients are testing on animals but their finished product isn't. You might see it as "We Do No Test on Animals" meaning their company contacts labs to do the testing for them such as Boots brands, Chanel, Clarins, Clinique, Estee Lauder, Givenchy, Revlon and Tresemme. Just because Clarins claim they cease product testing it doesn't mention their ingredients meaning, they buy ingredients that are tested on animals just not the overall product. It could mean any of these are no general regulations or oversights in using the worlds 'no animal testing' or 'cruelty-free'. "Finished Product not tested on animals" could mean they don't test that finished product on animals but the ingredients are. Just different wording to the "No Animal Testing". Just as "100% natural" or "No Animal Ingredients" can mean anything but their ingredients are potentially harmful or include beeswax, cochineal, lanolin, honey which are animal / insect derived ingredients. You can find a BUAV Approved Cruetly Free companies here. Thank you for reading this and I hope this has helped you there is a lot of information, I know. Yet sometimes our bunnies are saying something we thought all meant one thing but each bunny carries a different policy. Any question, drop me a line or a comment. How much did you understand the bunny logo? Do you purchase more from animal cruelty brands? Oh thank you for this explanation. Very helpful. I've just started switching to natural and organic cosmetics. But where i live we have a limited offer of brands. But will try to make best of what we have. What an interesting article! I always appreciate when people really care about animals. I decided that it did not make sense to me to be vegetarian but still buys products tested on animals, which made me go cruelty-free, and yes, sometimes, it's hard. I really admire cruelty-free bloggers, cheers! I have just discovered your blog after seeing your Cruelty Free post come up on HelloCotton. Second, what a great post! I'm currently going cruelty free, I made this decision in August although I still have quite a few unfriendly products to use up still. Brands like L'Occitane and Caudalie dropping the bunny logo for profit in china made me so mad! so many brands are just so cruel, it's like they're owned by animal hating posh folk who enjoy hunting and a good rare steak in their dining room surrounded by stuffed dead things and a tiger rug YUCK. It brings me to tears I wish I was queen of the entire world and I'd just get rid of them all. and all the animals would be mine. This is so informative! Thanks for the information, it's great to know that you support cruelty-free. woooow this has blown my mind . . . beauty has a dark side man.